A performer’s guide by Robert Toft. 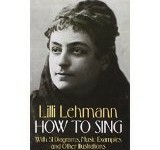 The first practical guide devoted exclusively to the bel canto style. Numerous musical exercises for specific bel canto techniques. Explores English and Italian repertoire by composers ranging from Handel to Mozart. The art of bel canto, or ‘beautiful singing,’ is perhaps the most referenced and yet the most enigmatic and elusive style in the repertoire of the classically trained singer. During the bel canto era of the late eighteenth and early nineteenth centuries, composers routinely left the final shaping of recitatives, arias, and songs to performers. Vocalists in turn treated scores as a starting point for interpretation and personalized the music as their own, rather than merely giving voice to the score as written, transforming otherwise inexpressively notated music into passionate declamation. 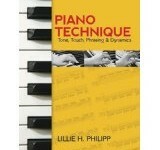 In other words, singers saw their role more as one of re-creation than of simple interpretation. Familiarity with the range of strategies prominent vocalists of the past employed to unlock the eloquent expression hidden in scores enables modern singers to take a similar re-creative approach to enhancing the texts before them. 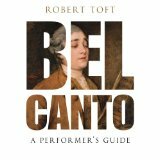 In this first ever guide to the bel canto style, author Robert Toft provides singers with the tools they need to bring scores to life in an historically informed manner. Replete with illustrations based on excerpts from Italianate recitatives and arias by composers ranging from Handel to Mozart, each chapter offers a theoretical discussion of one fundamental aspect of bel canto, followed by a practical application of the principals involved. 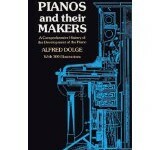 Drawing on a wealth of documents surviving the era, including treatises, scores, newspaper reviews, and letters, this book reflects the breadth of practices utilized by singers of the bel canto era, affording modern day vocalists the opportunity to not only how singers altered and embellished the texts before them, but also to develop their own personal style of doing so. Complete with six complete aria scores for performers to personalize through bel canto techniques, and a companion website offering demonstrations of the principles explained, Bel Canto is an essential resource to any singer or vocal instructor looking to explore and master this repertoire. Readership: Singers, teachers of singing, vocal coaches, opera directors, conductors, accompanists, early music enthusiasts, students wishing to sing in an historically-informed way.